First of a three-part series about different ways a wildcard candidate could win the presidency. Be aware that each article is intentionally written using a lot of the same wording, changing only when the particular scenario calls for it, so you can compare and contrast them easier. Earlier this month a Republican elector candidate in Georgia stated that if Donald Trump won the state he would write in another name on his ballot in the electoral college vote. After some outcry he resigned and was replaced as a potential GOP elector. Normally a one-off unhappy elector isn't a huge deal. But with both Trump and Hillary Clinton historically and mindbogglingly unpopular in the polls, could a group of electoral college voters take matters into their own hands if they didn't like the results? While Clinton is very unpopular with the public, Democratic party loyalists seem to be happy enough with her. Trump, however, seems to be fighting not only the public and the Democrats but insiders in the Republican party as well! So for the sake of this article we'll focus on how things might turn out with him in our hypothetical situation. TUESDAY, NOVEMBER 8, 2016: The country has gone to the polls, holding their noses as they pull the lever! As the map behind the TV anchors get colored in we find that Donald Trump has managed to eek out a small enough margin of victory to become the 45th President of the United States. He receives 272 electoral votes to Hillary Clinton's 266 -- two more than the 270 required for victory. In the following weeks, some Republican electors are having doubts about Trump and wonder whether they should actually vote for him. The "electoral college" never meets as a whole as some people probably picture it. They meet in the 50 states and DC and then send their votes to Washington to be counted at a later date. So none of the electors are getting togther to discuss or plan some conspiracy to rob Trump of the presidency. Each is trying to figure out their options on their own. Some may decide to uphold their pledge and vote as the people of their state decided. Others may decide to vote for someone else, thinking it won't matter if their one vote changes. One thing is certain. These are GOP loyalists, so if they do decide to change their vote it won't be to Clinton. They spend the next few weeks making a decision. A Texas elector casts a vote for Ted Cruz for president and Mike Pence for vice president. A Georgia elector casts a vote for Marco Rubio for president and Pence for vice president. An Idaho elector casts a vote for Cruz for president and Pence for vice president. In the four rooms where these votes have taken place there may be some angry people, but these states don't have laws in place to remove the rouge electors so the votes stand. And after all, they say, this person's one vote doesn't change anything. The counting of electoral votes doesn't usually register as a media-worthy event so no one is immediately aware of what has happened. In Texas, someone in charge decides to send out a press release about the vote not being exactly as expected. Cable news goes nuts with the story, happily trumpeting that Trump will have only 271 votes in the final count. The announcement stuns government employees in Georgia, Indiana, and Idaho who quickly reveal they too had a faithless elector. The media is in full on shock now. Networks break into their regular coverage to report that Donald Trump lost four of his electors bringing his total to under the threshold needed to win the presidency. They hastily find experts to tell the nation what all this means. To win in the electoral college a candidate needs get "the greatest number of votes" and it needs to be a "majority of the whole number of electors appointed". In 2016, that number is 270. In this scenario, Mike Pence is successfully elected vice president. But since no one received the requisite number of votes for president, the race is thrown to the House of Representatives to decide. But here is where it gets interesting. The 12th Amendment states that the House chooses from "the persons having the highest numbers not exceeding three on the list of those voted for as president". That means they choose from between Trump, Clinton... and Cruz! That's right, a person who only received two electoral votes could be the next President of the United States. FRIDAY, JANUARY 6, 2017: The new Congress was sworn in just three days ago. Today they meet in joint session to open and officially count the votes for president. As soon as that is concluded and it is clear no one has been elected president, the House immediately begins the process of voting. In choosing the president, a unique style of counting is used. Each state gets one single vote. So, for example, the nine Representatives of Tennessee will have to decide which candidate to give their single vote to. If they deadlock, Tennessee does not cast a vote. 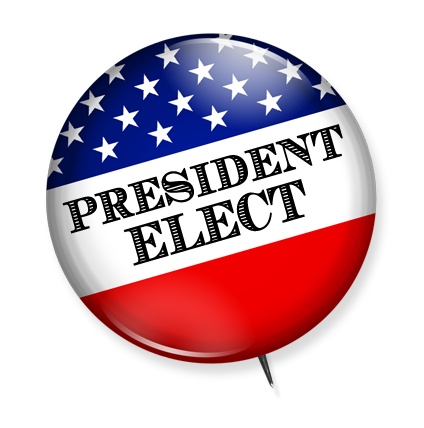 To be named president by the House a candidate must receive the vote of 26 states. If on the first ballot no one reaches that number, those votes are tossed and they try again. In 2016, counting by state House delegations gives the Republican party the upper hand. The GOP has the majority in 33 delegations, and the Democrats lead in just 14. The other states are evenly split. While it will be the 2017 House voting, those numbers aren't expected to change enough to make a huge difference. So it is all but impossible for Hillary Clinton to win at this stage. The Republicans basically will have to make a choice: go with Trump, the candidate that would have won if the electors had not gone rogue, or take this opportunity to switch to a more potentially palatable conservative candidate if they believe Trump will be bad for the country and/or their party. Which do they choose? I'm afraid I'm going to leave you hanging and not try to predict that! I'll leave it to your imagination how things might go from here. No one reaches 26 so the House must vote again. In this sequence of events the Democrats have some power. With Clinton having no chance to win, they can decide the outcome of the race by throwing their votes to either of the other two candidates. Would they think one would be a better choice than the other? Would they negotiate with each to get concessions in return for their vote? Or do they stick with Clinton and let the Republicans fight it out? If the stakes weren't so high it would be a fun and interesting situation to see play out for fans of politics, or Constitutional law, or just lovers of chaos!